“Opening Up”! Tickets are on sale now for the hit Broadway musical Waitress at the Brooks Atkinson Theatre! Based on the 2007 film of the same name, distributed by Fox Searchlight Pictures, stage rights were purchased by producers Barry & Fran Weissler shortly after its release. The world premiere of the musical adaptation followed in 2015, officially opening at the American Repertory Theater in Cambridge, Massachusetts, on August 19, and upon receiving wide praise and acclaim, a Broadway transfer was secured for the following spring. The musical officially opened at New York’s Brooks Atkinson Theatre on April 24, 2016, following previews from March 25. One of the dominant themes in Waitress is female empowerment and the production aptly made Broadway history upon opening by becoming the first ever Broadway musical to have four women in the four top creative team spots, with a book by Jessie Nelson, choreography by Lorin Latarro, direction by Tony Award-winner Diane Paulus and a score by Tony and Grammy Award-nominated singer-songwriter Sara Bareilles. Ms. Bareilles, who had previously received Grammy nominations for “Love Song” and her album “The Blessed Unrest” among others, also released her own studio recording in 2015 entitled “What’s Inside: Songs from Waitress”. Her involvement with the production – her first professional foray into the world of musical theatre – garnered a great deal of media attention, which was only heightened when the singer made her Broadway debut in the musical herself, taking over the lead role of Jenna from original cast member Tony winner Jessie Mueller on March 31, 2017. Packed houses celebrated Bareilles for the entirety of the limited engagement through to June 11, 2017. Waitress earned a total of four Tony nominations in 2016, including “Best Musical” and “Best Original Score Written for the Theatre” for Bareilles. The Broadway cast recording also earned her a further Grammy nomination in 2017 in the category of “Best Musical Theater Album”. Waitress’ emotionally driven narrative is complimented by lashings of comic relief through the hilarious antics of Jenna’s workmates – Dawn and Becky – and of Dawn’s pseudo-stalker-ish suitor Ogie, who confesses “I Love You Like A Table”. In addition, Jenna’s pie creations have also become the tasty trademarks of the show along with their imaginative names like the Deep (Sh*t) Dish Blueberry Bacon Pie. And to set the tone, the lobby of the theatre is engulfed with the delicious scent of baking Apple pie, when you enter the building. “Sugar, Butter, Flour…” yes, please! Jenna is a waitress and expert pie maker stuck in a small town and a loveless marriage. Faced with an unexpected pregnancy, Jenna fears she may have to abandon the dream of opening her own pie shop forever… until a baking contest in a nearby county and the town's handsome new doctor offer her a tempting recipe for happiness. Supported by her quirky crew of fellow waitresses and loyal customers, Jenna summons the secret ingredient she’s been missing all along – courage. This is certainly no Bad Idea! Tony Award nominee Jeremy Jordan will return to the Great White Way next month and join the company of the hit musical Waitress at the Brooks Atkinson Theatre. 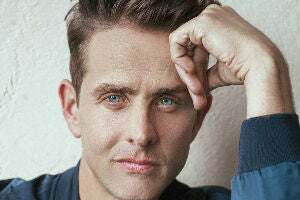 He is set to assume the role of Dr. Pomatter, succeeding "New Kids on the Block" member Joey McIntyre and starring opposite Shoshana Bean (who debuts in the production tonight), from April 8 through to May 12, 2019. From the screen to the stage! As previoursly announced, Eddie Jemison, who originated the role of Ogie in the 2007 film of Waitress opposite Golden Globe winner Keri Russell, makes his Broadway debut and reprises the role in the hit Broadway musical tonight. He is set to play a limited engagement at the Brooks Atkinson Theatre through to April 28, 2019. He's got The Right Stuff! New Kids on the Block member Joey McIntyre returns to Broadway tonight, as scheduled, assuming the role of Dr. Pomatter in the hit musical Waitress for a limited engagement through to April 7, 2019. Tony Award winner Gavin Creel played his final performance in the role on February 3. As a member of New Kids on the Block, McIntrye has toured extensively and sold over 80 million records worldwide. His previous stage credits include the role of Jonathan in a National Tour of Tick, Tick... BOOM! and the role of Fiyero in Wicked, making his Broadway debut in July 2004. From the screen to the stage! 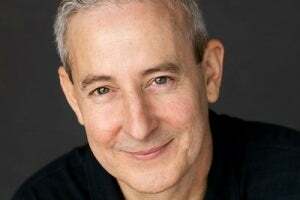 Eddie Jemison, who originated the role of Ogie in the 2007 film of Waitress opposite Golden Globe winner Keri Russell, is now set to make his Broadway debut and reprise the role in the hit Broadway musical for a limited engagement from February 11 through to April 28, 2019 at the Brooks Atkinson Theatre. Sugar, Butter, Flour, Sara Bareilles and Gavin Creel! Coming up! The pairing of Tony Award nominee and Waitress composer Sara Bareilles and Tony Award winner Gavin Creel will delight audiences at Broadway's Brooks Atkinson Theatre, as Jenna and Dr. Pomatter, respectively, beginning tonight and running through to February 3, 2019. This marks Bareilles' third run as the leading lady of her own musical. Joey McIntyre will assume the role of Dr. Pomatter in Waitress for a limited engagement from February 5 through to April 7, 2019. McIntyre will take over the role from Tony Award winner Gavin Creel, who is scheduled to play the role from January 7 through to February 3, 2019. Best known as a member of New Kids on the Block, he has performed in arenas across the world with the band selling over 80 million records. McIntyre made his theatre debut in 2001, performing in an off-Broadway production of Tick, Tick... BOOM! and later playing Fiyero in Wicked. Opening Up again! Three-time Tony Award nominee and original company member Christopher Fitzgerald returns to his Tony-nominated role as Ogie and understudy Stephanie Torns once again assumes the leading role of Jenna in the hit musical Waitress at Broadway's Brooks Atkinson Theatre tonight. Nicolette Robinson and Alex Wyse play their respective final performances as Jenna and Ogie on December 9. Sugar, Butter, Flour, Sara Bareilles and Gavin Creel! For a limited engagement from January 7 through to February 3, 2019, the pairing of Tony Award nominee and Waitress composer Sara Bareilles and Tony Award winner Gavin Creel will delight audiences at Broadway's Brooks Atkinson Theatre, as Jenna and Dr. Pomatter, respectively. This will mark Bareilles' third run as the leading lady of her own musical. We're never getting rid of him... and that's a good thing! Three-time Tony Award nominee and original company member Christopher Fitzgerald is set to return to his Tony-nominated role as Ogie in the hit musical Waitress at Broadway's Brooks Atkinson Theatre from December 11, 2018. Current cast member Alex Wyse will play his final performance on December 9. As previously announced, Academy Award nominee June Squibb returns to the Great White Way tonight and joins the Broadway company of hit musical Waitress at the Brooks Atkinson Theatre. She takes on the role of Josie - formerly known as Joe - marking the first time a woman has played the role in the show's history, and is scheduled to play a limited engagement through to January 6, 2019. NBC's TODAY Show star Al Roker played his final performance as Joe on November 18, 2018. Academy Award nominee June Squibb is set to return to the Great White Way and join the Broadway company of hit musical Waitress at the Brooks Atkinson Theatre on November 19, 2018. She will play the role of Josie - formerly known as Joe - marking the first time a woman has played the role in the show's history, and is scheduled to play a limited engagement through to January 6, 2019. NBC's TODAY Show star Al Roker will play his final performance as Joe on November 18, 2018, as scheduled. Waitress is a musical that will leave you fahklempt, because of Sarah Bareilles’ sublime music, but seriously unsatisfied with the decision to overstuff this story.